The US gets screwed again, what else is new? Americans have become really good at waiting for the newest European cars to reach dealerships. When a new car gets revealed in Europe, we get to see tons of reviews and road tests months ahead of when they will be available to US consumers. This is because the EPA (Environmental Protection Agency) wants to hold cars at port to make sure that everything is in order. This has delayed numerous diesel cars and even sports cars like the AMG GT-R. These same delays will hold up the Porsche Cayenne according to Automotive News. 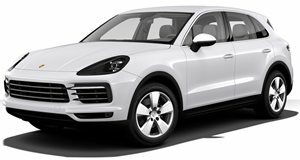 Porsche recently revealed its all-new third generation Cayenne. Europeans will probably get to test this amazing car before then end of 2017, but US consumers will have to wait until mid-2018. Until then, the current Cayenne will be sold as a 2018 model. By mid-2018, the new Cayenne will go on sale as a 2019 model. We understand that the EPA wants to do its job, but these delays are seriously hurting the European manufacturers in the US. Just imagine this scenario happening with a company like Chevrolet. The new ZL1 1LE has just been revealed, but what if the regular ZL1 was only just arriving in customer hands now? Not good. European manufacturers are effectively being forced to compete a year behind the competition. For example, by the time the current generation BMW M5 finally reaches US dealerships, it will probably be over a year old and have new competition that may make it slightly obsolete. This could be a huge problem for European automakers moving forward, and we hope that the EPA loosens its policies on this issue.